YOU HAVE TO GO! 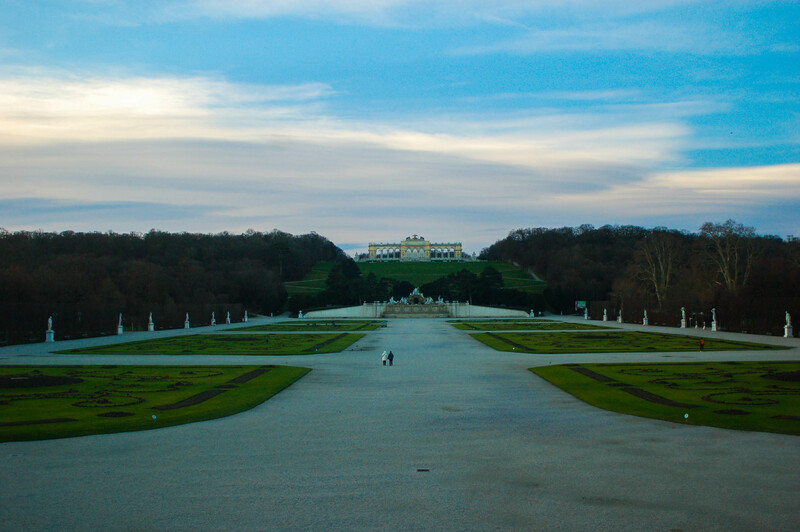 This place is a reminder of the once powerful Hungarian Empire, it is a former imperial summer getaway for the nobles. Arriving at the main gate, the sheer size of the palace made me felt so insignificant. I cannot imagine how people used to live inside this building, nor can I imagine how many maintenance it needed to keep this living history alive. It was truly beautiful, stunningly beautiful. The composition of the sky and the building is picture perfect; I felt like just sitting down in the middle and close my eyes. It was majestic. The sun was rising slowly; the yellow exterior of the palace began to emerge, showing its true color under the sun light. Especially with the blue sky, the contrast was perfect. Damn! i wished i was on a horse! It would be so cool riding in the palace. This is something always pops up in the back of my head when i am in places like this. Reason being? Watched too many movies and they look awesome when they enter castles, palace or wherever historical and ancient. From the back of the palace’s view point, the design of the garden has done most of the work for you. 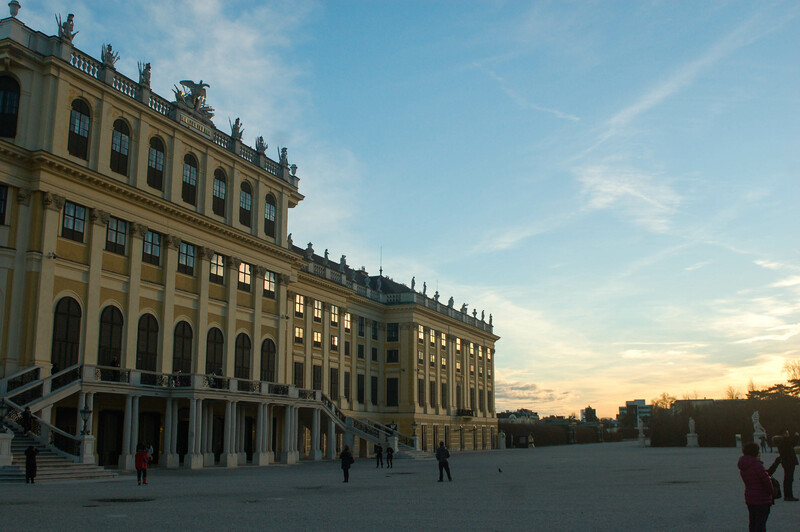 All you need to do is to simply look straight ahead and the symmetrical design of the Great Parterre with the Neptune Fountain and Gloriette in the background. This “royal backyard” is vast that I am talking about it would take hours to complete the full walk. The area extends to other attractions which i did not get the chance to see, such as Roman ruins, Orangery, Columbary, Palm pavilion and the Palm house . After lunch, we went to the public square of Maria-Theresien Platz to visit museums. It is such a convenient location. The two museums are symmetrical, almost identical , well to me its exactly the same i cant tell the different at all! 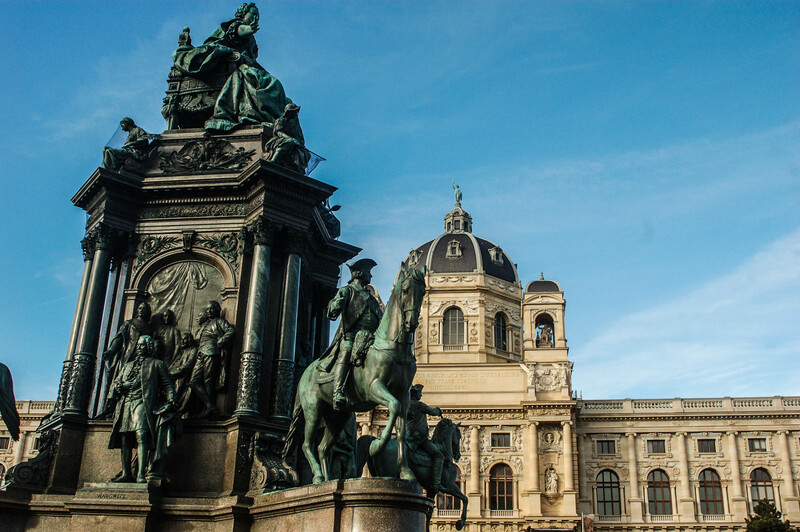 The Naturhistorisches Museum (Natural History Museum) and the Kunsthistorisches Museum (Art history museum) I would suggest to spend a good day to visit these two if your interest are art and history. 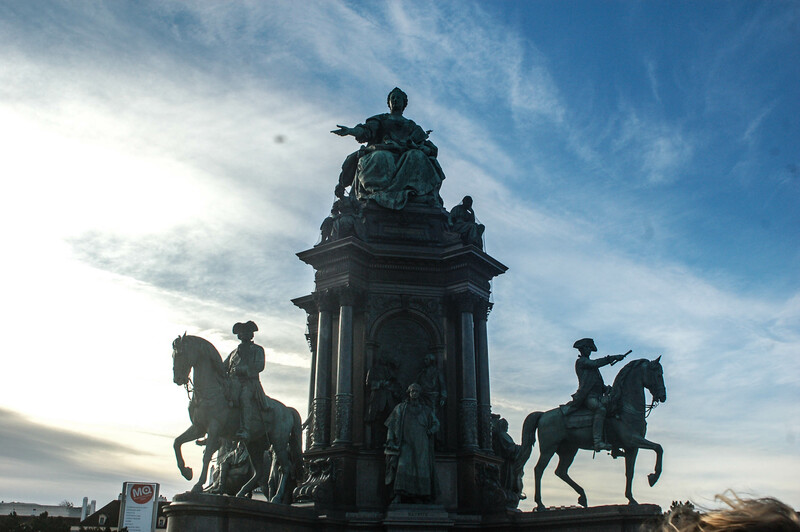 Separating the 2 grand buildings is The monument of Maria Theresa – who reigned for forty years! It is a history statue because it represented women coming into power in the 17th century. Ancient feminism, in her hand she holds a scroll which is issued by the Emperor Charles VI that allowed women to ascent the throne. I have heard so much of this prodigy since i was young, i believe that’s the same for everyone on this planet who had music lessons. 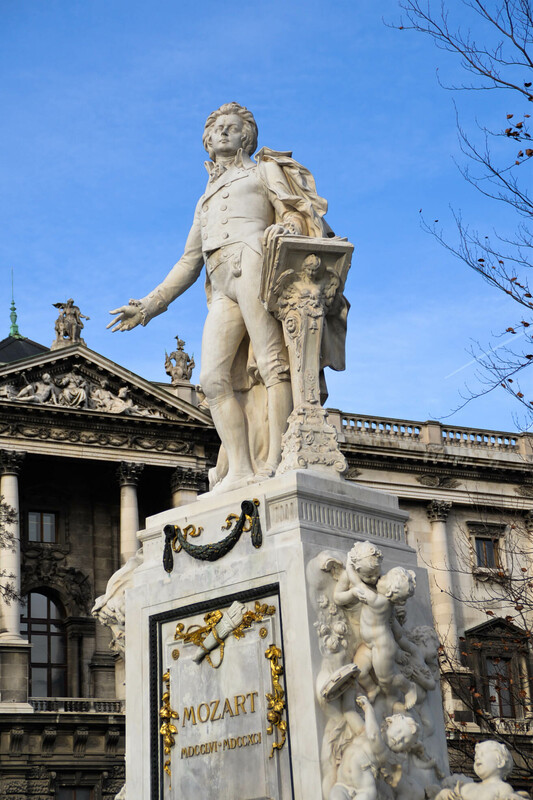 But being able to see visit his statue in the city of music is a unique experience. It is one of those boxes you need to tick off when you are here. So it is located in the entrance of the city park near the Albertina Museum. Its not a bad place to go for a stroll here after lunch, the place is fulled with young people, couples and families. If you need a break, definitely come here and chill for while to gain your energy! This is on located on the other side of the museum quarter in Burggarten. Not far from the art history musem at all! Beautiful images. Thank you for sharing!